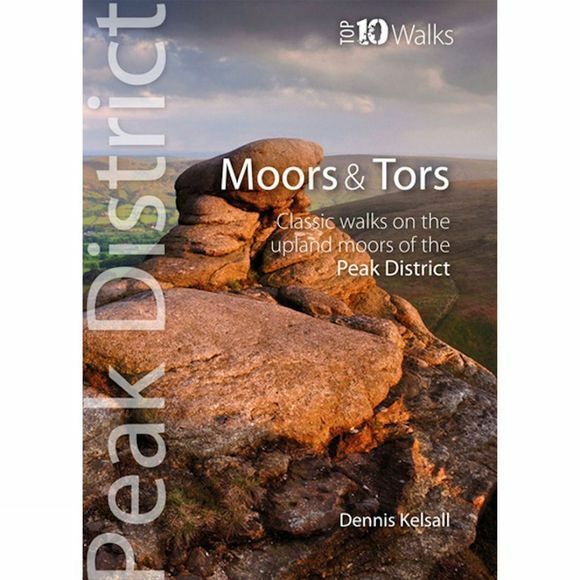 One of six books in the Peak District Top 10 Walks series published by Northern Eye Books. This attractive and cleverly structured guidebook gives walkers the ten best walks to the Peak District's finest upland moors and rocky tors in a handy, pocketable format. With clear information, an overview and introduction for each walk, expertly written numbered directions, Ordnance Survey maps, eye-grabbing panoramic photographs, and interpretation of points of interest along the way, these guides set a new standard in clarity, appeal and ease of use.